Since inception, we have had our main focus towards the quality aspect of the product. 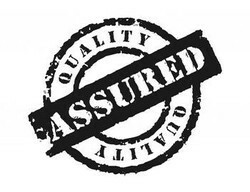 Our professionals ensure that the raw material sourced for the products are from authentic vendors only. Further, post procurement, the raw material are tested on various parameters by our quality analyzers to ensure their adherence to set industry standards and quality norms. We strive to provide our clients with best-in-class products, hence, we make use of advanced machines and equipment so as to match the international standards. Being a client-centric organization we work towards proving maximum satisfaction to our clients by offering high grade products. We provides these products as per the specifications of our clients. These products are manufactured using advanced machines and equipment that ensures their long life. Our professionals maintain a close cordial relationship with our patrons and take their valuable feedbacks & suggestions and act accordingly. We also ensure that the products ordered by our clients reach at their preferred destinations within the stipulated time-frame.